We specialize in manufacturing an entire custom crating solution that will protect your product and help you streamline production. 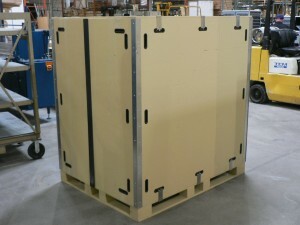 Thanks to our in-house engineering team, we are able to design and manufacture custom packaging dunnage to specifically protect you product and, just like our wooden shipping crates, it is all completely reusable. Rather than outsourcing, we are able to use our own thermal/vacuum forming and CNC precision-shaping abilities to utilize a variety of packing materials including wood, plastic, foam and steel. Our creative engineers were able to develop an original custom shipping solutions for an aerospace customer that saved them thousands of dollars for each product shipped! We buy materials by the railcar as one of the largest individual consumers of plywood in North America, so the size of your custom shipping crate or crate order is no object. 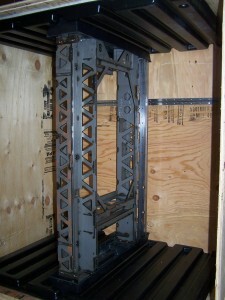 Whether you need 10 crates or 10,000, we can manufacture custom shipping crates just for you. To ensure a solution tailored to your every specification, we also offer a variety of simple customizations for your shipping crates. One of these options is a GatorCoat lining, similar to truck bed liners, GatorCoat gives your wooden shipping crates superior weather resistance, allowing you to use your SnapCrates for long-term outside storage. We even offer an FDA-approved coating that seals in particles allowing you to use your custom shipping crates for food contact! 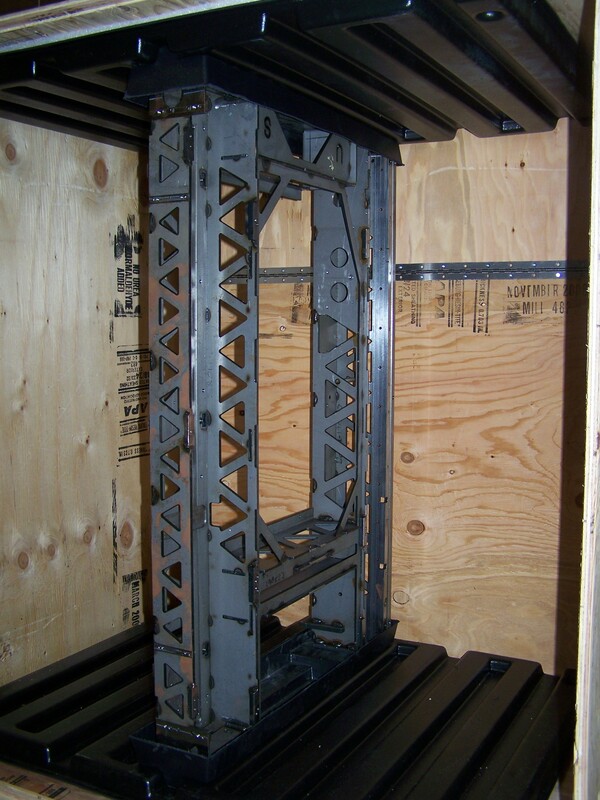 Our abundance of other custom crating options include: hinged panels, ramps, handles, steel tip rails, windows, and latches. Our in-house engineering and design teams can develop a personalized protection solution to meet your needs.